Don’t look now but smartphones sales are in a tumble. Okay, you can look, but it’s not really all that pretty. The latest numbers out of research firm International Data Corporation (IDC) indicate that 375.4 million devices shipped to customers during Q4 2018, representing a decline of 4.9 percent when compared to the year before. Who was hurt the most this last quarter? In a country, China. With approximately 30 percent of the world’s smartphone consumers, it saw a volume decline of 10 percent. “Globally the smartphone market is a mess right now” – Ryan Reith, program vice president, IDC’. 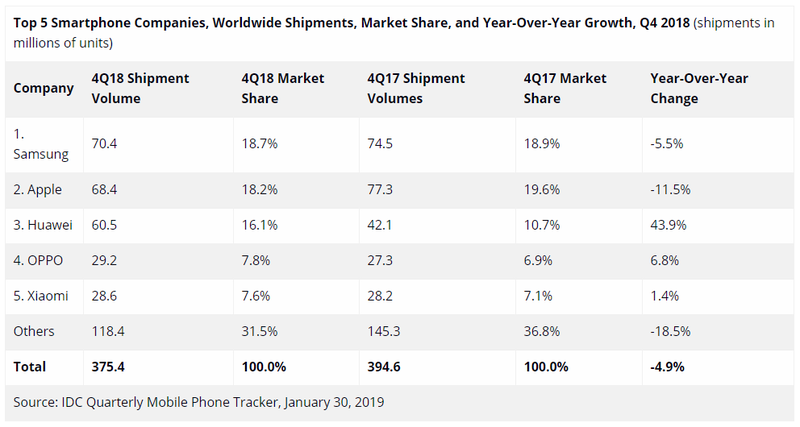 Huawei, who was previously the world’s second biggest phone maker, dipped to third place with Apple stepping back into second. Interestingly, though, Huawei’s sales were up over the year and Apple’s were down. In terms of year over year growth, Huawei leads all with an increase of 43.9 percent. OPPO follows with an 6.8 percent increase and Xiaomi picks up a modest 1.4 percent. The IDC report only shows the top five companies in the world, opting to give “all others” one big bucket. To that end, Apple is down the most with a 11.5 percent decline. Samsung, for its part, dropped 5.5 percent over the year. Looking at everyone else as a whole, they were down 18.5 percent collectively. It’s hard to say what happens in the coming year. With 5G, foldable displays, AI, and other tech being added into new flagships, devices will be more interesting. But, as we’ve seen, people are sitting on their phones longer and longer. What comes with new technology and leading-edge features? Cost. 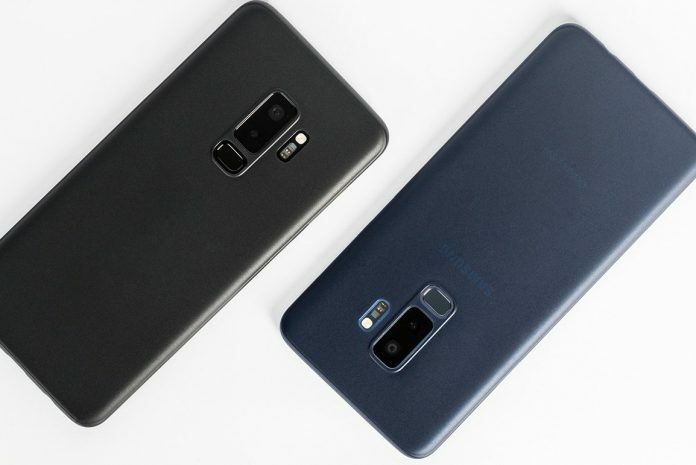 Will people be content to sit on last year’s phones or are they ready to drop $1,000 to keep up with the flagships? If IDC’s forecast is accurate, we could be in for another down year in terms of shipments. That is, unless, we collectively decide to spend more on our phones in 2019. We recently recorded an episode of our podcast which touched on this very topic. In it we discuss how the industry has evolved and where it could go in the future. Do we have a magic pill for the smartphone landscape? Tune in to find out.